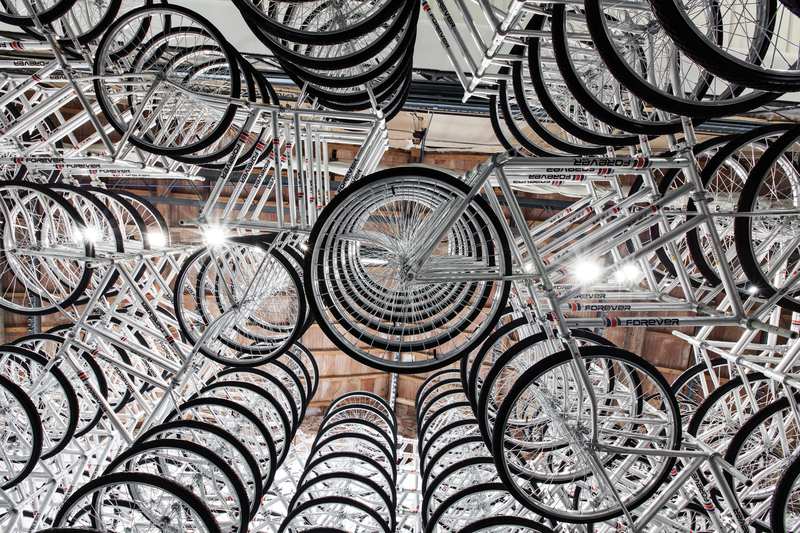 760 bicycles stacked by Ai Weiwei and on exhibit in Italy. Is another variation on a symbolically rich subject already explored by the artist in the past. Ai Weiwei uses the bicycle as an iconic object: the principal means of transport in China—“Forever” (Yong Jiu Pai) is the most common bicycle brand in the country—it represents the lives of millions of Chinese citizens; what’s more, with its chain and sprocket mechanism, it somehow depicts the matrix of the labour force: the people. 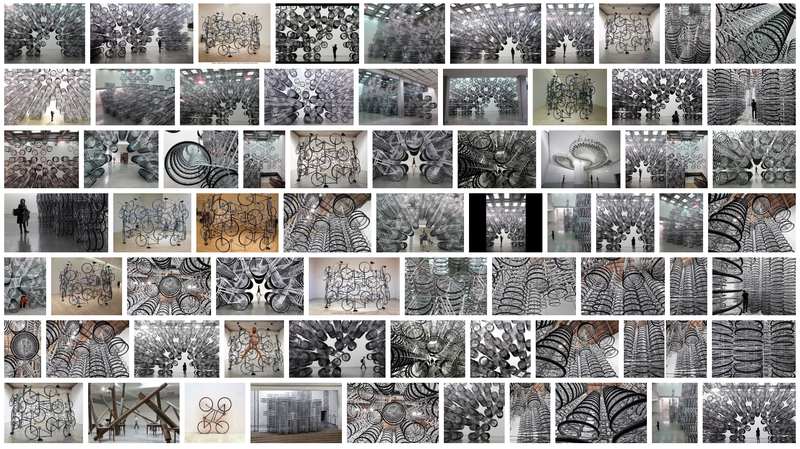 These installations also spotlight the more conceptual aspects of Ai Weiwei’s work; on the one hand, the activation of a process of abstraction whereby the object becomes the symbol-structure of nothing, on the other, the realization of the work as a metaphor of the fabrication of power. 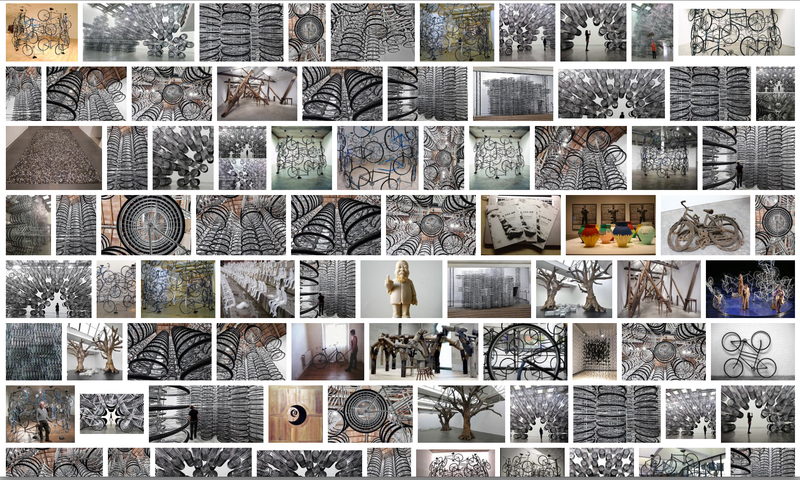 Or maybe how a machine that moves people forever is constrained and stacked like a commodity.